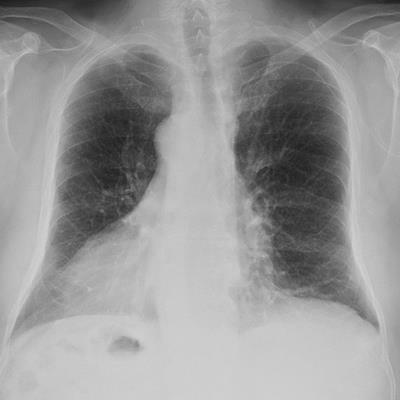 A 34-year-old man with an acute-on-chronic productive cough. 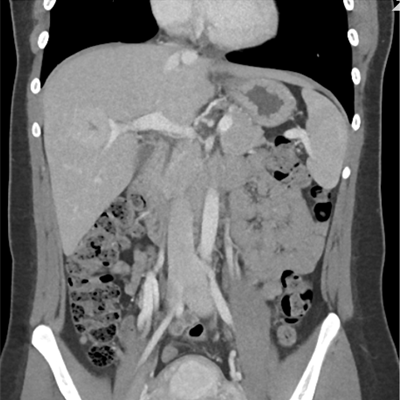 A 40-year-old man with acute midabdominal pain and focal tenderness on exam. 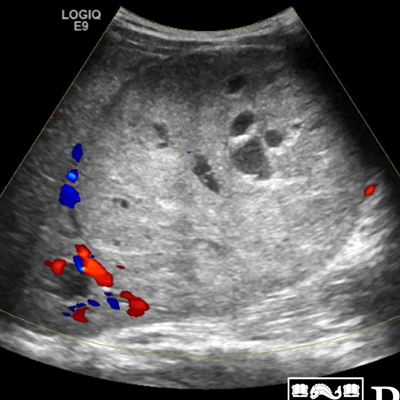 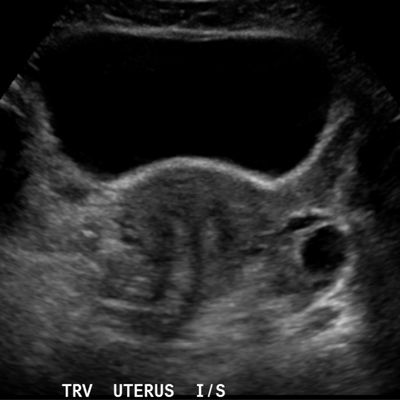 A 21-year-old woman with abdominal pain and symptoms of tenesmus. 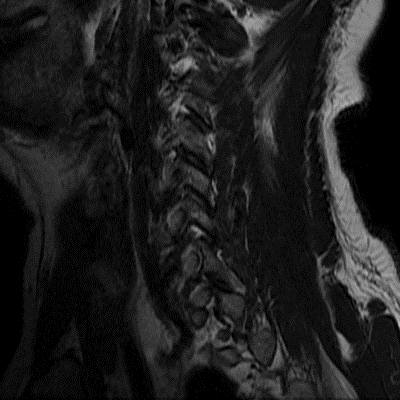 A 60-year-old man with progressive numbness and tingling in his fingers and toes. 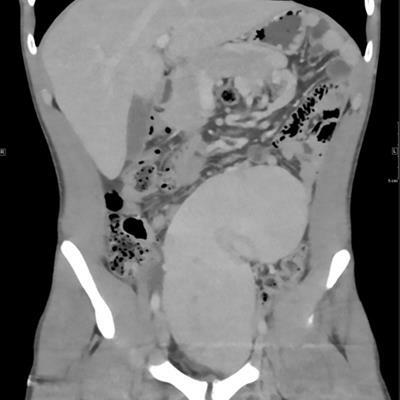 A 49-year-old woman with an enlarging, palpable mass on her back. 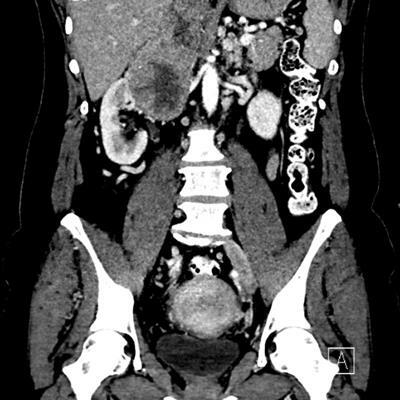 A 42-year-old man with declining renal function undergoing renal transplant evaluation. 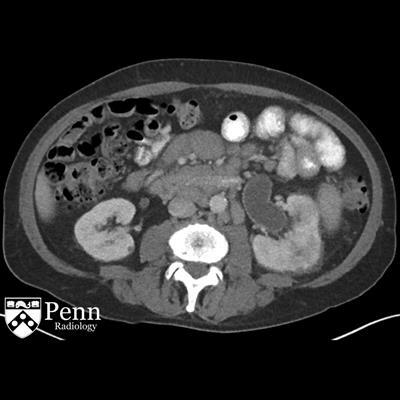 A 42-year-old man with worsening left lower quadrant abdominal pain over the past four days. 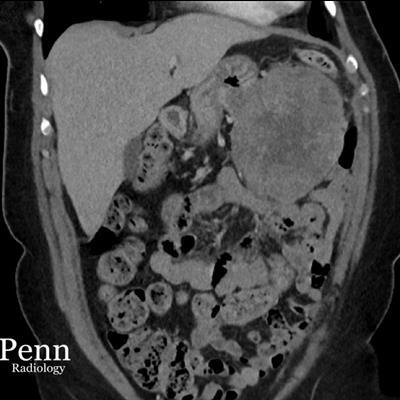 A 51-year-old woman with an incidental finding on CT scan of the abdomen and pelvis. 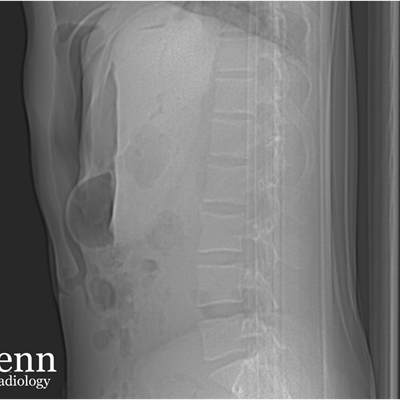 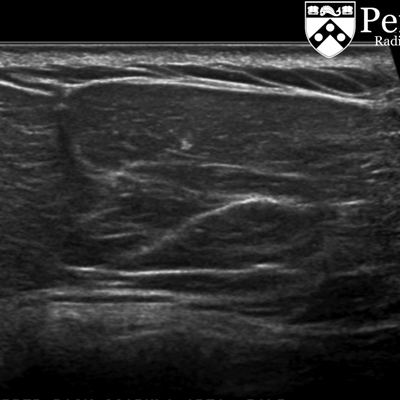 A 64-year-old woman with progressive left upper quadrant pain for the past several months. 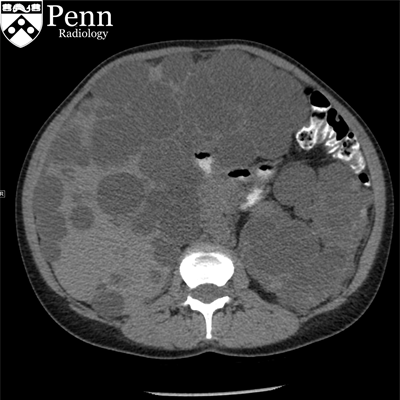 A 4-year-old girl with hardness and swelling on the right side of her abdomen. 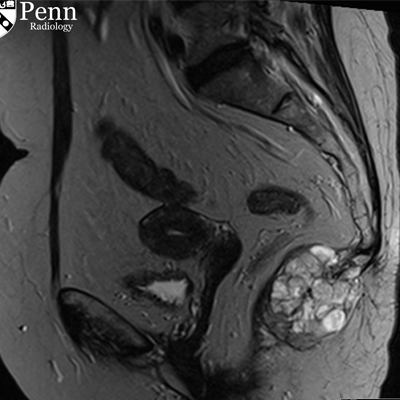 A 71-year-old man undergoing staging scans for chronic lymphocytic leukemia. 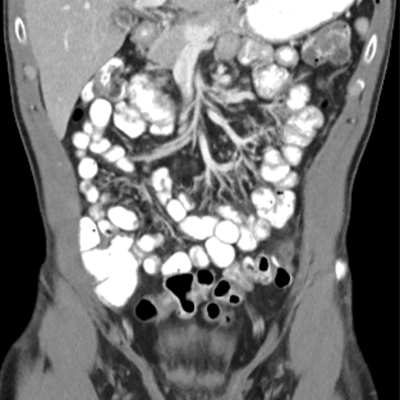 A 26-year-old man with several days of worsening abdominal pain. 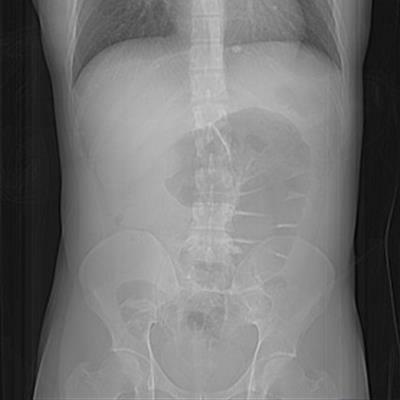 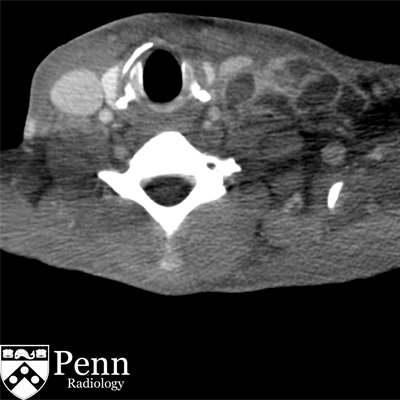 A 46-year-old man presents with neck fullness and abdominal pain. 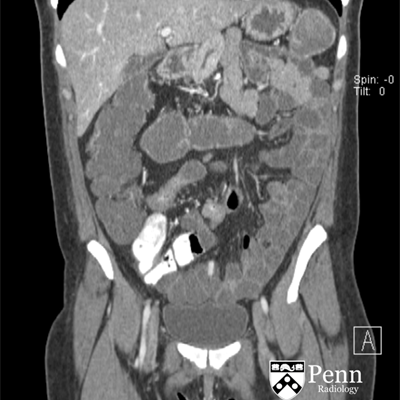 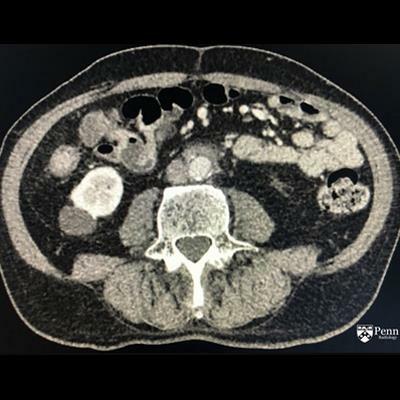 A 21-year-old man with left lower quadrant abdominal pain for the past two weeks. 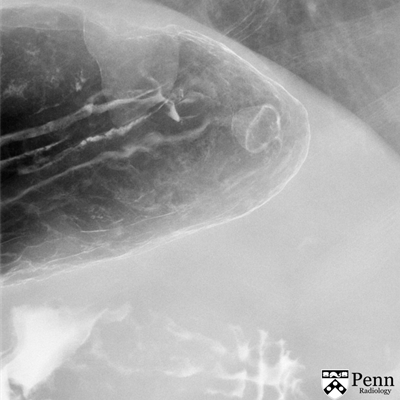 A 58-year-old woman undergoing follow-up imaging of an incidental finding seen on cardiac CT.